Westcoast Developments offer services to both individual clients and companies looking to develop homes for themselves or homes to sell. We also help investors looking to realise returns in property projects and are able to offer finance if necessary. We offer a comprehensive range of services from finding sites, preparation of architects drawings, planning application submission and monitoring services, checking site internal and external layouts including bathrooms and kitchens, project management throughout construction of new build and refurbishment projects, full interior design packages, marketing project appraisals, marketing, bank financing, external financing etc. For ease we have compiled Gold, Silver and Bronze packages to choose from. We can also tailor packages to a Client’s particular brief or alternatively on a “pay as you go” arrangement if the Client so wishes. Full quotations are supplied on application and following Client brief/meeting. What Happens If You Choose Westcoast to Build Your Home…. After planning has been achieved and using the proposed drawings, we would be able to calculate the cost of construction of the proposed scheme. We will explain your options with regard to forms of contract available to you. This contract, once agreed, would be signed by both parties. This is a binding commitment and will contain the contract price, programme showing completion date, specification and payment arrangements. Once planning has been granted and the contract signed, we will start to discharge the pre-start planning conditions. Demolition and construction will then commence. We will hold regular progress meetings with and discuss any impending changes or variations required. The handover of the development will take place from the contractor (Colmar) to Westcoast Developments after construction completion and relevant NHBC/Premier Guarantee and Building Control Certificates have been received. Westcoast Developments will carry out a completion snag list and instruct Colmar to attend to any items prior to signing off the development. ** All package prices are based upon site area, square footage and number of units proposed. Why choose to go through Westcoast? 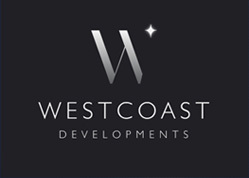 Utilise Westcoast Developments’ rates achieved through our continued relationships with certain professionals. Take advantage of our discounted rates with suppliers (if construction contract placed with our partners Colmar Construction (Poole) Ltd). Constant meetings/updates from Colmar Construction (if appointed) staff i.e project surveyor/contracts manager/site agent. Visit previous projects by Westcoast Developments and view our high standard of finish including award winning developments. Experienced full time office based staff to deal with questions and queries from contractors, porfessionals, local authorities, solicitors etc. Early marketing to encourage off-plan sales and stamp duty savings. NB: If application is refused and appeal required to be lodged – this will be subject to separate costing. Dismissal of planning approval conditions i.e. landscaping, materials submission for approval, drainage scheme, SUDS. Code for Sustainable Homes information will be priced separately. 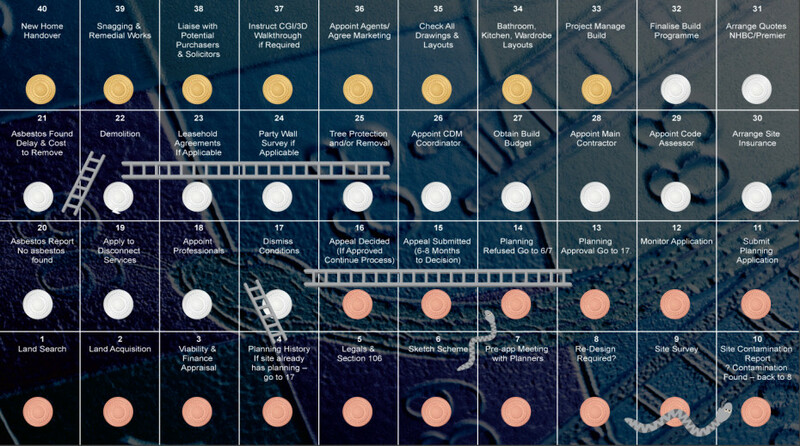 Payment of marketing literature – i.e. brochures, e-brochure/website design.